Leicester Socialist Workers Party have called a public meeting on Wednesday 23 September, 7pm at the Adult Education Centre on Wellington Street to discuss and debate the way forward for the left after Jeremy Corbyn’s landslide victory in the Labour Party leadership election. Socialist Worker Journalist Tomas Evans will be speaking. 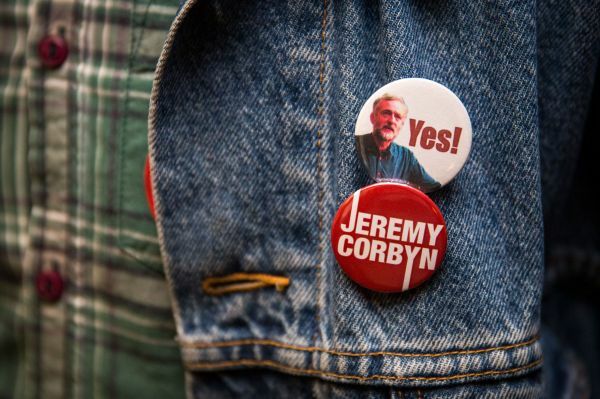 Corbyn’s victory has wide implications, not only for Labour but the SNP, Greens and Trade Union and Socialist Coalition. We have the most left-wing and openly socialist Labour leader in history. The revolt against Labour’s right-wing has been spectacular – Corbyn received thumping majorities amongst the unions, registered supporters and long-standing members of the party. Terrified, our right-wing media and even more ‘progressive’ papers such as the Guardian and the Independent have led a vicious assault, both personal and political, against Corbyn. Socialists have to stand by Corbyn but we also have to seize the time – Socialism is back on the agenda and there is a real thirst for our ideas. On the day Corbyn won, 50k people marched for refugee rights in London – the biggest demonstration of it’s kind. At this meeting we will discuss the result of Labour’s leadership election, what sort of alternative we need, how revolutionaries can relate to Corbyn’s victory and what it means for the movement as a whole. We therefore invite our comrades from within and outside of the Labour Party to come along and join the debate and we will march together at the demonstration against the Tory Party conference in Manchester on Sunday 4th October. Please join our Facebook event and share as widely as possible. This entry was posted on Sep 12, 2015 by leicestersocialistworkersparty in capitalism, Corbyn, ecology, environmentalism, Jeremy Corbyn, Labour, Labour Party, marxism, Meetings, NHS, Privatisation, Reformism, Revolution, Socialism, Students.